Isuzu Motors together with General Motors, have announced their respective future plans for the Isuzu, Chevrolet and Opel brands in South Africa. Isuzu Motors intends to purchase GM's South African light commercial vehicle manufacturing operations, while GM intends to cease local manufacturing and selling Chevrolet vehicles in the domestic market by the end of 2017. "After a thorough assessment of our South African operations, we believe it is best for Isuzu to integrate our light commercial vehicle manufacturing operations into its African business," said Stefan Jacoby, GM executive vice president and president of GM International. "We determined that continued or increased investment in manufacturing in South Africa would not provide GM the expected returns of other global investment opportunities." 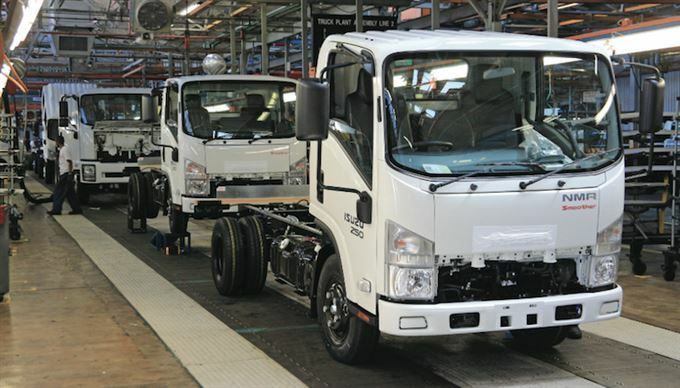 The deal, subject to local and competition regulatory approval, will see Isuzu purchase the Struandale manufacturing plant and GM's minority shareholding in Isuzu Truck South Africa (Pty) Limited to continue manufacturing the Isuzu KB and medium- and heavy-duty commercial trucks in Port Elizabeth. It will also assume control of GM's Parts Distribution Centre and Vehicle Conversion and Distribution Centre. In addition, Isuzu intends to set up its own dedicated dealer network to market, distribute and service light commercial vehicles for existing and new Isuzu customers. "Isuzu is building a strong base to grow on the African continent in the long term. Evidence of this is our recent purchase of GM's 57.7 percentage shareholding in its East African operations, which has given us management control of the company. Integrating the South African light commercial vehicle operations into our business is the next step in laying the foundation for our growth plans in the future." GM South Africa intends to cease the manufacture and supply of Chevrolet vehicles to the domestic market by the end of 2017, subject to consultation with employees and unions. It confirmed it will continue to provide service and parts support for Chevrolet customers. Following the recent announcement of the sale of Opel/Vauxhall to the PSA Group, GM continues to work with PSA to evaluate future opportunity for the Opel brand in South Africa. Importantly, existing Chevrolet and Opel customers will continue to be supported in the market.